Valve Corporation was born on August 24th, 1996 founded by former Microsoft employees Mike Harrington and Gabe Newell. In Valve&apos;s early days, the company&apos;s structure was similar to most development team, driven by the development of physical games released to a level of quality under a deadline by their then publishers. In 2000, a few years after the release of their first commercial game, Mike Harrington left the company. The company’s focus has changed largely in recent years to development of their Steam software and hardware such as the HTC Vive. Their first release under the Valve name came in 1998. The project (privately funded by both Gabe and Mike) had the working title ‘Quiver’, named after the Arrowhead military base described in Stephen King&apos;s 1980 book ‘The Mist’, an early inspiration for the game. Before the title’s release they settled on the name Half-Life, chosen because it was related to the game’s theme, wasn’t cliché, and had a corresponding visual symbol (the Greek letter λ), which represented the decay constant in the half-life equation. Using id Software’s Quake engine and heavily influenced by their DOOM title the team set out to develop a game that pushed 3D first-person shooters to the absolute limit, and not just graphically, but in story, atmosphere and emotion. Valve struggled to find a publisher at first, as many believed the game was too ambitious for a first-time developer. Sierra On-Line agree to sign Valve for a one-game deal mostly as they were interested in making a 3D action game, particularly one using the increasingly popular Quake engine. While aiming for a 1997 release to compete with id’s Quake II, by September 1997 while they had a lot of content and innovative features, the team agreed the game was not fun and there was little design cohesion. The company postponed the release and reworked every level from the ground up. Following release on Windows, OS X, Linux and PlayStation 2 to huge critical acclaim and very commercial success, the game has since become a household name in the gaming industry and laid the ground for 3 expansions between 1999 and 2001, a remaster and sequel in 2004 and a third-party modern remake in 2012. Originally a Quake (and later a QuakeWorld) mod, class-based tactical shooter ‘Team Fortress’ was developed by TF Software Pty Ltd, who at the time of their recruitment by Valve, were working on a direct sequel. Valve hired the modders and had them port the title as a mod to Half-Life in their own GoldSrc engine. Releasing in 1999 as Team Fortress Classic, the first game released by Valve after Half-Life. A highly successful sequel was released to PC and consoles in 2007. Originally a Half-Life mod developed by Minh Le and Jess Cliffe, Counter-Strike is a military and terrorist based first-person shooter, acquired by Valve and released on Windows in 2000. Following release Counter-Strike received highly positive reviews with global sales reaching quarter of a million units by July 2001 and 1.5 million by December 2003. It was the 22nd best-selling game in the US between January 2000 and August 2006. The New York Times claims E-Sports Entertainment ESEA League begun the first professional e-sports league in 2004 with Counter-Strike. The game has seen several remakes, spin-offs and sequels release to home computers and consoles in 2004, 2008, 2012 and 2014. Beginning life as a third-party Half-Life mod in 2000, Day of Defeat is a class-based World War II shooter set in the European theatre on the Western front. Valve purchased the rights and released DoD as a standalone game, published by Activision in 2003. Valve release a remake named Day of Defeat: Source using the then brand new Source engine. Valve released Steam to the public in September 2003, originally as a solution to deliver patches and updates to their online games. A task up to then that Valve had struggled to roll out without disconnecting players for hours or days at a time. Along with an automatic update process, Steam also provided stronger anti-piracy and cheat systems. With broadband connections becoming more common in households and the average speed rising, Valve recognised that they could deliver content to player faster and with more ease than physical retailers that currently dominated the market. Valve met with various companies, including Microsoft and Yahoo! to ask for help building a client with this vision, but were turned down. Steam&apos;s development began in early 2002, a few working titles for the platform being ‘Grid’ and ‘Gazelle’. It was released in beta form 22nd March 2002. To show off how simple it was to integrate Steam with a video game, Relic Entertainment developed a special version of Impossible Creatures. The first mod to release on client was Day of Defeat. Steam came out of beta on 11th September 2003, kicking off its mandatory use to play Counter-Strike 1.6 but remained for the time-being optional for other online Steam titles. In 2004 Half-Life 2 released and was the first Valve game to make installation of the Steam client mandatory to play, even for retail copies. This caused a lot of upset and concern online over ownership of the software, a first time introduction of software requirements and server issues that would mirror the Counter-Strike release, concerns were justified as upon release users faced many issues attempting to install and play the game. In 2005, Valve released the third third party title on the Steam store, Rag Doll Kung Fu, followed shortly by Darwinia. Over the year more third-party games became available for purchase and download via Steam. Although digital distribution didn’t come close to the volume of retail sales, profit margins for developers were much larger selling on a platform like Steam. Much bigger publishers including id Software and Capcom began selling their titles on Steam in 2007. By May that year, 13 million Steam accounts had been created, and over 150 individual games were available to download. Valve’s early releases, such as Half-Life, Counter-Strike and Day of Defeat were developed in the heavily modified Quake engine, GoldSrc. But Valve’s own Source engine would debut in the follow-up to Counter-Strike, Counter-Strike: Source in June 2004. Source had been in fluid development ever since, until March 2015 when Source 2.0 accompanied the launch of Dota 2. All of Valve’s titles since 2004 have released on some version or another of Source. Garry&apos;s Mod is a sandbox physics game developed by Garry Newman under his company name Facepunch Studios. Originally a free mod for Half-Life 2, the last free version released on 27th November 2005, it was later made into a standalone title and released on Steam in November 2006. As of January 2016, the game has sold 10 million copies. The developer has spoken about interest in making a sequel in 2015 and 2016 but nothing since. Portal was conceived when Valve hired student developers at DigiPen Institute of Technology after seeing their new freeware game Narbacular Drop. The original princess trying to escape a dungeon theme was dropped in favour of the Aperture Science setting. The game took a further 2 and a half years to complete. The first of those years directing their focus mostly on gameplay while ignoring narrative or plot, play testers enjoyed the game but were confused as to why they were expected to complete the test chambers, prompting the team to develop a story. Due to limited art capabilities of the development team, Valve agreed to have Portal set in the same universe of another title from their catalogue, Half-Life. The companion cube idea, one that many fans have a unique and emotional attachment to, despite it having no notable personality and no lines in either of the Portal games, was inspired after members of the team read declassified government documents relating to how isolation can lead human subjects to begin to attach to inanimate objects. They once had a level in where they wanted players to carry the cube from the start to the end of the level but players would quickly forget to take the cube with them so they added related dialogue, stuck a heart on the cube, and continued to up the ante until people became attached. The portal gun’s full name in the game is the Aperture Science Handheld Portal Device, which when abbreviated to ASHPD looks like a shortening of Adrian Shephard from Half-Life: Opposing Force. Fans noticed this and just before the game’s release the team hid his name by highlighting the letters that made up the name on keyboards found throughout the campaign. The famous portal cake is said to have been what cake looked best at the Regent Bakery in Washington near where the developers worked, it’s recipe is scattered across various screens in binary code in game. The Bakery has stated since the game’s release that their Black Forest cake has been one of its best sellers. Portal originally released as part of the Orange Box package (including Half-Life 2 and Team Fortress 2) for Windows, Xbox 360 and Playstation 3 in 2007. Portal: Still Alive was released as an Xbox Live Arcade title in October 2008 which featured 14 new levels and new achievements. The new content was based on levels from Portal: The Flash Version made by We Create Stuff. A sequel featuring co-op campaign released to Windows, Mac, Xbox 360 and Playstation 3 in 2011. Development on Left 4 Dead started in mid-2005 by Turtle Rock Studios who were aiming to create a horror film-inspired game that combined the best of narrative-driven single player games with the social and high replayability of multiplayer games. Valve had a good relationship with the development team which lead to them purchasing rights to the title in 2008. And to give it the best possible chance as success, financed a $10,000,000 marketing campaign for the game across the US and Europe. Many features were changed or dropped during Left 4 Dead’s development, one included a special infected named the “screamer”, which while it didn’t attack, once spotting a survivor would run to safe distance and release a deafening scream that would attract the horde, this creature was later removed and its ability replaced with the boomer’s bile attack. Another large change being the game started out with one big city with various routes for survivors to traverse to safety, but playtesters became confused, lost and frustrated and resulting in them sticking to a single route once they learned it. In the end Turtle Rock split the city map in to the No Mercy and Dead Air maps, with a single route to safe houses. Left 4 Dead released to Windows and Xbox 360 on 17 November 2008, followed by many expansions and a full sequel exactly a year later for PC and Xbox on 17 November 2009. The Dota series was born in 2003 with Defense of the Ancients (DotA), a mod for Blizzard&apos;s Warcraft 3: Reign of Chaos, developed by a modder known as Eul. Following the release of Warcraft 3 expansion The Frozen Throne later that year; a series of Defense of the Ancients clone mods began competing for playerbase. DotA: Allstars by Steve Feak was the most successful, he and friend Steve Mescon created the official Defense of the Ancients community website and the holding company DotA-Allstars LLC. When Feak stepped down from development on DotA: Allstars in 2005, a friend, under the name "IceFrog", became its lead designer. By the late 2000s, Defense of the Ancients had become one of the most popular mods in the world, as well as an important eSports title. Valve became interested in the title was several long serving employees became fans of the mod and wanted to build their own modern successor. The company communicated with IceFrog via email about his long-terms plans for the project and as a result was hired to help develop a direct and standalone sequel. Valve decided on the name Dota, taken from the original mod&apos;s acronym, as the name for its newly acquired IP. Shortly after the announcement of Dota 2, Valve filed a trademark claim to the Dota name. Previous Dota developers Feak and Mescon filed an opposing trademark for the name under DotA-Allstars LLC (then a subsidiary of their new development studio Riot Games) in August 2010. 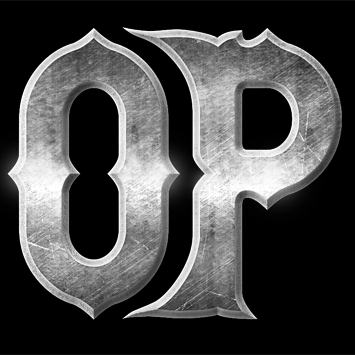 Blizzard Entertainment, similarly stated that the DotA name belonged to the mod&apos;s community. Blizzard acquired DotA-Allstars LLC from Riot Games and filed an opposition against Valve in November 2011, claiming Blizzard&apos;s ownership of both the Warcraft III World Editor and DotA-Allstars LLC as evidence for their rights to the franchise. The dispute was settled in May 2012, with Valve retaining commercial franchising rights to the "Dota" intellectual property, while allowing non-commercial use of the name by third-parties. In 2017, Valve&apos;s ownership of it was again challenged, after a 2004 internet forum post from Eul was brought to light by a Chinese company known as uCool, who had released a mobile game in 2014 that used characters from the Dota universe. uCool, who was previously involved in a lawsuit with Blizzard in 2015 for similar reasons, along with another Chinese company, Lilith Games, argued that the forum post invalidated any ownership claims of the intellectual property, stating that the Dota property was an open source, collective work that could not be copyrighted by anyone in particular. The judge involved denied uCool&apos;s motion for summary dismissal. Valve recruited contributors from the Defense of the Ancients community, including Eul and artist Kendrick Lim, to help develop the sequel. Jason Hayes, one of the composers of Warcraft III: Reign of Chaos, was hired to help write the original score for the game. Valve announced in 2012 that Dota 2 would be free-to-play, with revenue generated through purchase of items in the game’s own store, which included community created items. It was also announced that the full roster of heroes would be available at launch for free. By 2015, sales of Dota 2 virtual goods had earned Valve over $238 million in revenue. Two months before its official release, Dota 2 broke the all-time Steam record for most concurrent players with nearly 330,000, beating the number of players in the rest of Steam’s top-ten games combined. Dota 2 was the first game in Steam&apos;s history to have over a million concurrent players and remained as the most played game by concurrent players on Steam for four years, never dropping below first place for any notable period of time until being surpassed by PlayerUnknown&apos;s Battlegrounds in 2017.Two months following the game&apos;s release, Valve claimed that updates to Dota 2 generated up to three percent of global internet traffic. After nearly two years of beta testing, Dota 2 was officially released on Steam for Windows, Mac and Linux in July 2013. The game did not launch with every hero from Defense of the Ancients but had them added in various updates following the official release. In June 2015, Valve announced that the entirety of Dota 2 would be ported over to their Source 2 game engine in an update called Dota 2 Reborn which officially replaced the original client in September 2015, making it Valve’s first title to use the engine. In March 2015 Valve team up with HTC to develop and release their own virtual reality headset, the Vive. Demonstrations were shown of Valve’s prototype in 2014 and in 2015 their showed their VR extension to Steam called ‘SteamVR’. HTC showed off the device later in the year at the Mobile World Congress. Preorders began on 29 February 2016. In 2017 Google announced a new standalone VR system that would be developer by the Vive team and tech company Lenovo and in June 2017 Valve revealed details on a second variation of the Vive controllers which utilizes finger tracking called the Knuckles controller. Valve has been known to release no more than a single full-length sequel to their titles. Half-Life, Team Fortress, Portal, Left 4 Dead and to a lesser degree Dota all sitting at the second in their respective series. Valve has developed a humorous reputation for not being able to count to 3 or being scared of the number. Nearly all games released by Valve started life as a community made mod for another game. Team Fortress, Counter-Strike, Ricochet, Day of Defeat, Garry’s Mod, Alien Swarm and Dota all started off as community mods, with Portal being a successor to the game Narbacular Drop. The only original IPs in Valve’s catalogue are Half-Life and Left 4 Dead. Valve does not make its finances public. In 2005, Forbes estimated that Valve had grossed $70 million that year. Ed Barton, a Screen Digest analyst, estimated Valve&apos;s 2010 revenue to be in the "high hundreds of millions of dollars". As of 2011, the company had an estimated worth of 2 to 4 billion dollars, and according to Newell it was the most profitable company per employee in the United States. Valve published their employee handbook to the public in 2012, demonstrating at that time that outside of executive management, there were no bosses, and the company used an open allocation system, allowing employees to move between departments at will. By July 2014, there were over 3,400 games available and the total annual sales on Steam were estimated at $1.5 billion. Over 150 million registered accounts, 67 million monthly and 33 million daily active gamers used the platform by January 2018. By July 2018 the number of titles on Steam had passed the 20,000 mark with the introduction and fast take-up of Steam Greenlight and Steam Direct. As of 9th July, 2018 – Valve haven’t released a title under a new intellectual property for 5 years, however since Dota 2 is technically a sequel to a fan-made mod, Valve’s last release under a unique IP was Left 4 Dead, 10 years ago in 2008.